March 31, 2019 (Las Vegas, NV) –The 34th Annual Stellar Gospel Music Awards was taped live on Friday, March 29 at the Las Vegas Orleans Arena and will air on Easter Sunday, April 21 at 7:00 p.m. ET/6:00 p.m. CT. The biggest night in gospel music returned with gospel great performances by the legend Shirley Caesar, VaShawn Mitchell, Jelani Winston, Katlyn Nichol and Sandra “Pepa” Denton was tapped as a presenter. Also presenting were Anthony Brown, Yolanda Adams, Dr. Bobby Jones, DeVon Franklin, Janice Gaines and JJ Hairston. Hezekiah Walker and Phil Thompson also performed along with Brian Courtney Wilson, Charles Jenkins, Jekalyn Carr, Jonathan McReynolds, Kelontae Gavin, Koryn Hawthorne, Maranda Curtis and Todd Dulaney. Gospel prince, Kirk Franklin, also returned to host the live taping this year. The night also included a moving posthumous tribute to the undisputed Queen of Soul, Aretha Franklin by Kelly Price, Regina Belle and Erica Campbell. The performance was followed by a presentation of the Aretha Franklin ICON Award to the family of the late legend. 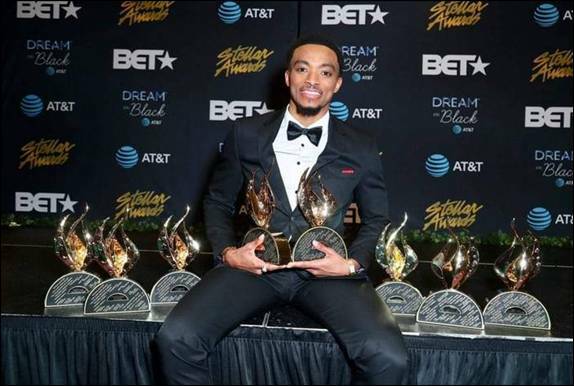 Among some of the big winners for the weekend were Jonathan McReynolds taking home eight trophies. 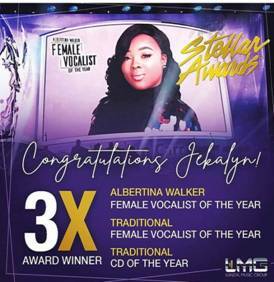 Jekalyn Carr was named female vocalist of the year and The Walls Group won the award for duo/chorusgroup of the year. The best new artist trophy went to Jabari Johnson. Also honored this year was the legendary gospel singer Delores Washington Green of The Caravans, receiving The Ambassador Dr. Bobby Jones Legends Award. Stellar Honors Hall of Fame Inductees included Jackie Patillo (Dove Awards), James Robinson, Jr. (Malaco Gospel) and Phil Thornton (RCA Inspiration). Here’s the complete list of winners!